Here’s a fun and simple idea that will turn your travel memories into something tangible. I’m back from my lovely trip to France and Italy, ready to enjoy the last few weeks of summer before school starts with all the accompanying homework, activities and driving. If you’re like me, you arrive at the airport for your trip back home with a pocket full of coins and ten minutes to raid the airport kiosks for high-quality chocolate. Before spending all your loose change, take a minute to sort through your coin stash in search of small, light-weight coins. Countries put a lot of thought into their currency so coins are often beautifully designed. My husband, who travels all over for work, knows to bring me home any interesting finds. All you need to turn these mini-medallions into a scarf pin is a bit of strong glue and a pierced earring back from your local craft store. The resulting pin stands out nicely on your shawl and can even be pinned through your shirt to keep everything in place. No need to travel outside the US. Many states have interesting quarters to remind you of home or your favorite summer vacation spot. Feeling patriotic? Find a 1976 Bicentennial quarter and wear it on the 4th of July this summer. 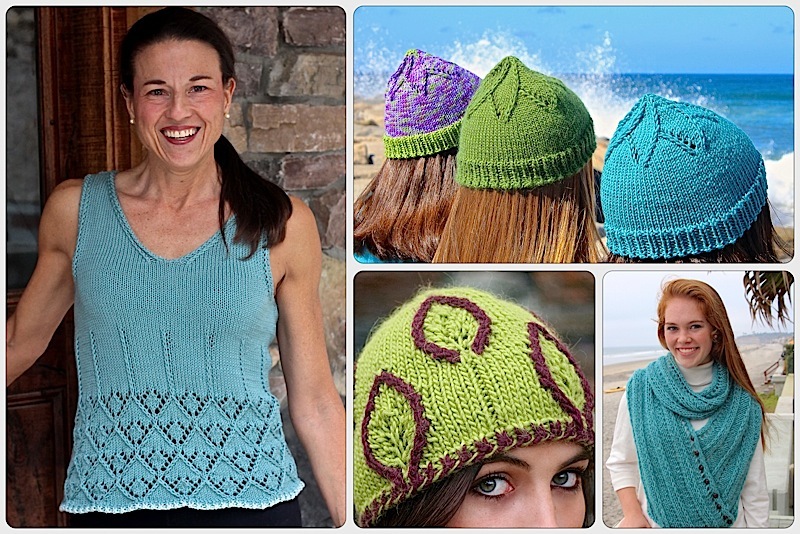 How about pairing the project you knit while on vacation with a pin from the same place? Wearing your Coin Pin will keep the memories of your holiday alive. p.s. No, it’s not illegal to use coins in jewelry, even if you cut them up. It’s only illegal to alter them for the purpose of changing their value when in circulation. So no using your Sharpie to change a $5 to $50 but feel free to apply glue liberally to your prettiest coins. Really cute idea. I have a box full of coins. Now I have something to do with them! 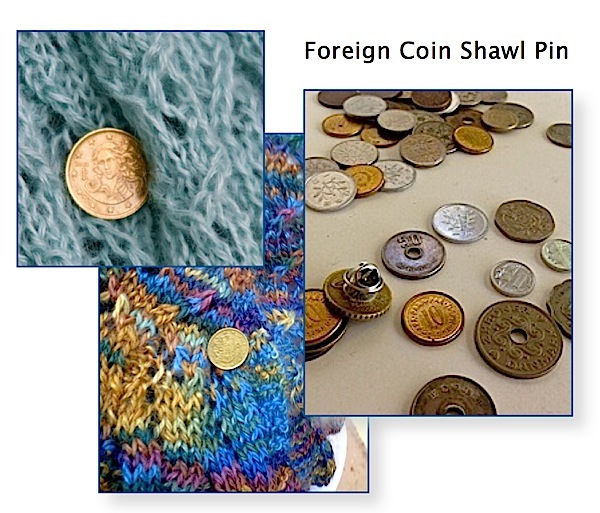 This entry was posted on August 12, 2014 by Laura Cunitz in General, Other Ideas, Scarves and tagged Coin Pin, knit shawl, knitting, Shawl Pin.